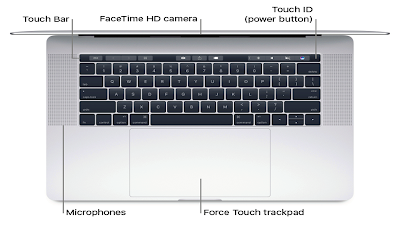 MacBook Pro Tutorial for Beginners - If you want to transfer your data to new MacBook Pro 2017 with Touch Bar from another computer, Read this MacBook Pro Tutorial to setup and migrate your data on easy way to move your files and settings from another Mac or PC to your MacBook Pro. You can transfer information from an old computer/another devices to your MacBook Pro wirelessly, from a Time Machine or other USB storage device, or with an Ethernet cable and adapters. 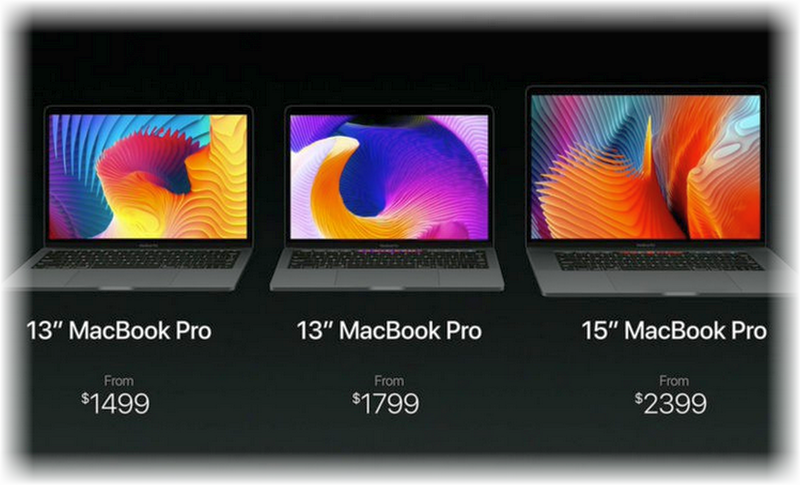 and starts at $2,399/£2,349 for the 15in model. 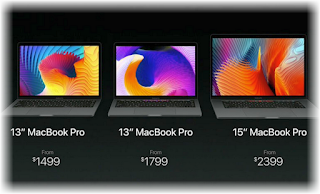 The most expensive MacBook Pro now costs $2,799/£2,699. For best results, make sure your MacBook Pro is running the latest version of macOS. To check for software updates, click the App Store icon in the Dock, then click Updates in the App Store toolbar. 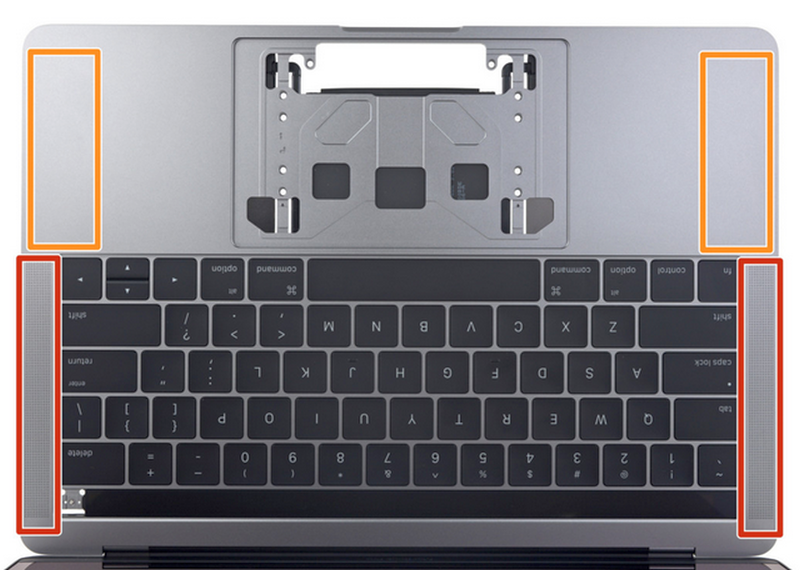 The battery in your MacBook Pro recharges whenever MacBook Pro is connected to power. Please charge it before use. Connect your MacBook Pro to a power outlet using the included cable and 60W (13-inch model) or 85W (15-inch model) MagSafe 2 Power Adapter. The battery recharges more quickly when the computer is shut down or in sleep.the battery level or charging status. Click the icon to show how much power you have left if you keep using the apps, peripheral devices, and system settings you’re now using. To extend battery life on a given charge, reduce the display brightness, close apps, and disconnect peripheral devices you’re not using. You can change your power settings in Energy Saver preferences (click the System Preferences icon in the Dock, then click Energy Saver). 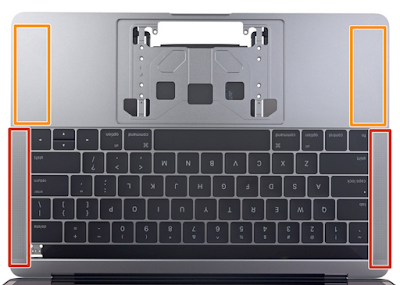 If your MacBook Pro is in sleep or standby mode when a device is connected to it, the device’s battery may drain. MacBook Pro Guide Transfer Data Wirelessly. To transfer the data when you first set up your MacBook Pro, use Setup Assistant. Applications > Utilities, then double-click Migration Assistant to do a wireless migration. Follow the onscreen instructions. MacBook Pro Tips : To transfer the information wirelessly from your old computer to your MacBook Pro, make sure both computers are connected to the same network. Keep both computers near each other throughout the migration process. If you used Time Machine to back up your files from another Mac to a storage device (such as an AirPort Time Capsule or an external disk), you can copy the files from the device to your MacBook Pro. To keep your files safe, it’s important to back up your MacBook Pro regularly and restore if you want. The easiest way to back up is to use Time Machine which is built into your MacBook Pro with a wireless AirPort Time Capsule but sold separately or an external storage device connected to your MacBook Pro. Tutorial Set up Time Machine. Make sure your MacBook Pro is on the same Wi-Fi network as your AirPort Time Capsule, or connect your storage device to MacBook Pro. Then click the System Preferences icon in the Dock, click Time Machine, and click On. Select the drive you want to use for backup, and you’re all set. Automatically backs up your entire MacBook Pro, including system files, apps, accounts, preferences, music, photos, movies, and documents. Remembers how your computer looked on any given day, so you can revisit your MacBook Pro as it appeared in the past or retrieve an older version of a document. Lets you restore your entire system from a Time Machine backup. So if anything happens to your MacBook Pro, your files are safe and sound. Here learn about backing up and restoring your MacBook Pro, go to Mac Help and search for Time Machine, external storage device, backup, or restore. To learn more about AirPort Time Capsule, go to www.apple.com/airport-time-capsule. AirPort Time Capsule is sold separately at store.apple.com or your local Apple Retail Store. manually drag files to your MacBook Pro. Click the Wi-Fi status icon in the menu bar, then choose a Wi-Fi network and enter the password, if necessary. Click the Wi-Fi status icon in the menu bar, then choose Turn Wi-Fi On or Turn Wi-Fi Off. Turn Bluetooth on or off. Click the Bluetooth icon in the menu bar, then choose Turn Bluetooth On or Turn Bluetooth Off. If you get MacBook Pro problems, don’t see the Wi-Fi status icon or Bluetooth icon in the menu bar, you can add them. For Wi-Fi, choose Apple menu > System Preferences, then click Network. 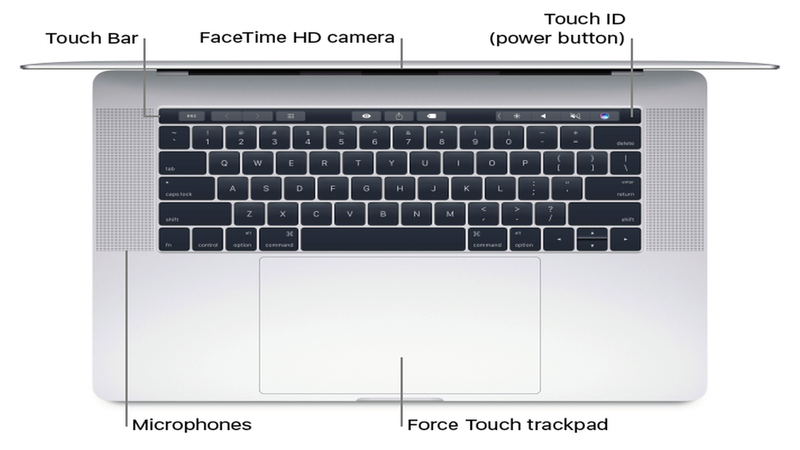 This is MacBook Pro guide an Apple ID is the account you use for everything you do with Apple including using the App Store, the iTunes Store, iCloud, iMessage, and more. Your Apple ID consists of an email address and a password. You need only one Apple ID to use any Apple service, on any device, whether it’s your computer, iOS device, or Apple Watch. It’s best to have your own Apple ID and not share it, create separate Apple IDs for each family member. If you don’t already have an Apple ID, you can create one (it’s free). Go to appleid.apple.com. Important: If you forget your Apple ID password, you don’t need to create a new Apple ID. Just click the Forgot link in the login window to retrieve your password. Set up iCloud on your MacBook Pro. With iCloud, you can store all of your content documents, movies, music, photos, and more in the cloud, and access it anywhere you go. To set up iCloud, choose Apple menu > System Preferences, then click iCloud. In the window that appears, enter your Apple ID and password. Then select the features you want to use. iCloud is the easiest way to make sure all your important content is everywhere you are. iCloud stores your documents, photos, music, apps, contacts, and calendars, so you can access them any time you’re connected to Wi-Fi. And the iCloud account is free, and it comes with 5 GB of free storage space. But you must purchases you make from the iTunes Store, App Store, or iBooks Store don’t count toward your available space. iCloud also keeps everything up to date on your devices. So if you have an iPhone, iPad, or iPod touch, just sign in to iCloud using the same account and you’ll have everything you need. Here are MacBook Pro guide some of the things you can do with iCloud. Automatically store your desktop and Documents folder in iCloud Drive. Save files in your Documents folder or on your desktop, and they’re automatically available on iCloud Drive and accessible wherever you are. Working with iCloud Drive, you have access to files on your iPhone or iPad in the iCloud Drive app, on the web at iCloud.com, or on a Windows PC in the iCloud app. When you change your file in iCloud Drive, you’ll see your edits wherever you view the file. click the System Preferences icon in the Dock, click iCloud, then click Set Up Family. Click the System Preferences icon in the Dock, click iCloud, select Photos, then click Options. Enjoy your purchases anywhere. When you’re signed in to iCloud, purchases you’ve made from the iTunes Store, App Store, and iBooks Store are available at any time, no matter which computer or device you used to purchase them. So all your music, movies, books, and games are available wherever you go. Important: Be sure to use the same Apple ID for iCloud on all your devices. You can enable Siri on your MacBook Pro when prompted during setup. To learn how to turn on Siri later and for information about using Siri on your Mac, see Siri. Set up Touch ID. If your MacBook Pro has the Touch Bar and Touch ID, you can add a fingerprint to Touch ID during setup. To set up Touch ID later or to add additional fingerprints, click the System Preferences icon in the Dock, or choose Apple menu > System Preferences. Then click Touch ID. To add a fingerprint, click and follow the onscreen instructions. You can add up to three fingerprints per user account (you can add up to five fingerprints total to your MacBook Pro). Click the System Preferences icon in the Dock, or choose Apple menu > System Preferences. Then click Wallet & Apple Pay and follow the onscreen prompts to set up Apple Pay. The card issuer determines whether your card is eligible to use with Apple Pay, and may ask you to provide additional information to complete the verification process. Many credit and debit cards can be used with Apple Pay. For information about Apple Pay availability and current credit card issuers.